Pianist Tricia Dawn Williams will this weekend be transforming a piano recital into an interdisciplinary performance: featuring motion capture technology, video-art, electronic music and extended piano technique. Titled Transition, the concert’s programme features Suspensions for piano and EMG sensors by Atau Tanaka; Pounding for for piano and video by Ruben Zahra; The Voice of Lir by Henry Cowell; Piano Counterpoint for piano and tape by Steve Reich; Transit for piano and video by Michel Van der Aa; and Makrokosmos for amplified piano (selection) by George Crumb. 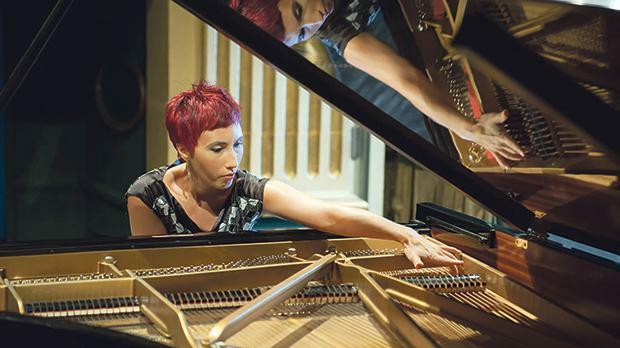 The one-hour concert is organised by the Manoel Theatre, the Malta Association for Contemporary Music and the Valletta 2018 Foundation in collaboration with Central Bank Malta, Fondazzjoni Pattrimonju Malti and the Victor Pasmore Gallery as part of the cultural calendar for the Valletta 2018 European Capital of Culture. The concert, strictly rated 10+, will be held at the Victor Pasmore Gallery, Valletta, tomorrow and on Saturday at 8pm. For bookings, visit www.teatrumanoel.org.mt or call the booking office on 2124 6389.